KoopaTV: Starter Pokémon Z-Moves, More Ultra Beasts, Alolan Dugtrio Coming to Pokémon Sun and Moon! Heck, in my playthrough of the non-wait-for-the-special-day part of the Pokémon Sun and Pokémon Moon Special Demo Version, I didn't even use the Z-move in the designated use-Pikachu's-Z-Move boss fight. I don't use powerful or one-off items in RPGs, either. I play as a minimalist. Z-Moves? Unnecessary and extraneous, unless you'll be in a competitive battle or something. In that case, you may be interested in the section on, say, Z-Move versions of status moves, for your complex niche strategies. Decidueye about to land a Sinister Arrow Raid. KoopaTV fan favourite Turtonator is exclusive to Pokémon Sun, which makes me upset as someone who has pledged to purchase Pokémon Moon. Turtonator joins Passimian and Alolan Vulpix, while Moon gets Oranguru (as we know), along with Alolan Sandshrew and Drampa, the Normal/Dragon Pokémon version of Bernie Sanders. 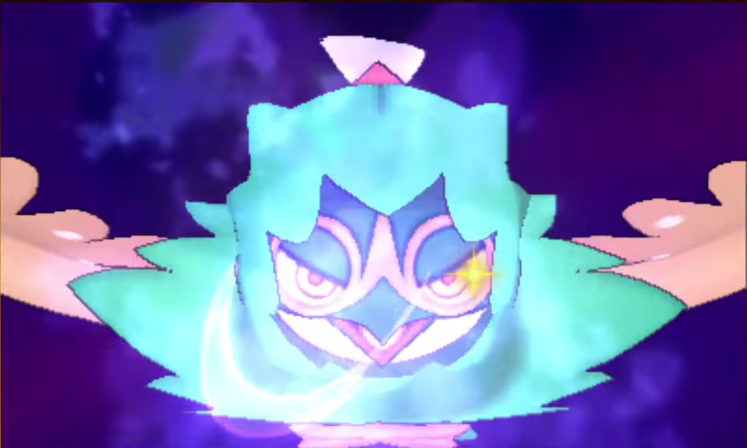 There are creepy Ultra Beasts. UB-03, Lighting, is a collection of evil Christmas lights, and UB-05, Glutton, eats everything it sees. I dunno what UB-04 is. Don't ask me, it's not on the official site. Diglett and Dugtrio. The official site doesn't go into exactly WHY these moles have Alolan forms, and they're the same... except that they have Steel-types due to their “whiskers”, or Tangling Hair, which is a clone of the existing ability Gooey. That lowers a direct-attacker's speed by 1 stage. ...Yeah, just another flavour text that demonstrates how backwards and insane the Alolan people are. I'm actually not looking forward to this region, because all of the NPCs are going to be dumb. At least the locals in the other regions were AVERAGE! It's like they shipped the people below the bell curve off to Alola, and figured they couldn't get back because it's a collection of islands in the middle of nowhere. You can see in the demo they don't even have a working port, and they've colonised the place for how long? If you have another interpretation of today's trailer, feel free to share it in the comments section, particularly if you're actually excited over something that Ludwig looked over. This is the last news release before the game's official launch. I can give you a Turtonator. I am also not interested in Z-moves. I'm still intrigued by the Ultra Beasts and I hope they aren't just basically more Pokémon. I probably won't get the game at launch either, though. I also don't want them to secretly be humans in a weird get-up, like SOME people are saying. What if they're mysterious beings that disguise themselves as humans? Yeah, I like that. LIZARD PEOPLE.